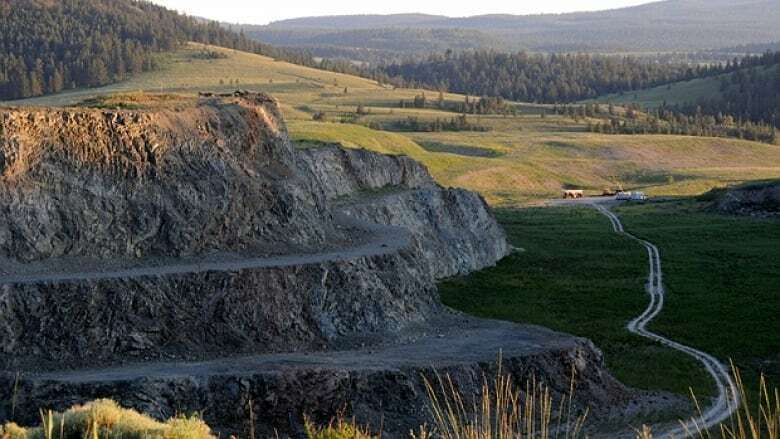 Federal government rejects proposed Ajax mine near Kamloops, B.C. The federal government has rejected the proposed Ajax open pit and copper mine project near Kamloops. The federal government has rejected the proposed Ajax open pit and copper mine project near Kamloops, B.C. In a statement released Wednesday, the government said the decision was made "because the project is likely to cause significant adverse environmental effects that cannot be justified in the circumstances." The 1,700 hectare open pit copper and gold mine would have operated for about 23 years, providing 1,800 jobs during construction and 500 during operation, according to KGHM, the company behind the mine proposal. In December, the B.C. government announced it would not grant the project an environmental assessment certificate, saying it would have a negative impact on air quality and local ecosystems. Though the provincial environmental certificate would have been necessary for the project to proceed, a decision on the mine still had to be made by the federal cabinet. "Our Government has consistently said that decisions such as these must factor in both the economy and potential impacts to our environment," said Dominic LeBlanc, minister of Fisheries, Oceans and the Canadian Coast Guard in a written statement on Wednesday. "Our rigorous and cooperative environmental assessment process determined the environmental effects were simply too great, in particular, to the current use of lands and resources for traditional purposes by Indigenous peoples," said LeBlanc. In March 2017, the Stk'emlúpsemc te Secwépemc Nation rejected the mine, following a review, and the municipality of Kamloops came out against the project a few months later. First Nation-led environmental review panel rejects Ajax mine in Kamloops, B.C. KGHM closed its Kamloops office about three months ago and its website, ajaxmine.ca, now redirects to a domain hosting service.